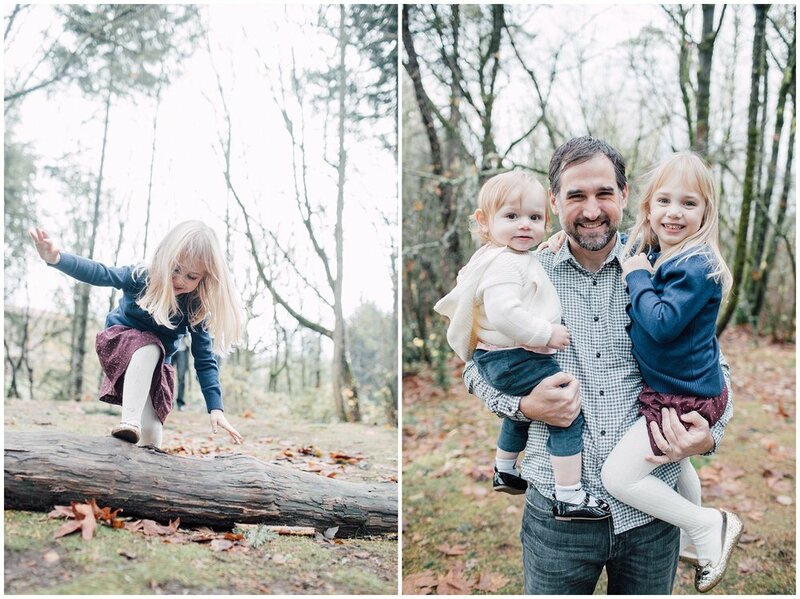 When I first started photographing families in Seattle, I would give lots of instructions on how to pose and what to do. I would be talking a lot of the time to make sure everyone felt comfortable and never awkward. The photos turned out great but I was always in control. Then one day, my husband and I got photographed and the photographer hardly said a word. We felt unsure and slightly uncomfortable but after a while we just realized that was how it was going to be and so we started talking, playing around and just hugging. Those were my favorite photos because it was us just being ourselves, not posed, not following orders, just us chilling while a camera hovered around to capture whatever we decided to do. It was refreshingly authentic. So I brought that little trick back to my own photography toolbox. Nowadays when I'm photographing families for the Happy Film Company, I give some instructions (to make sure everyone still feels comfortable and understands that they can do whatever they want) and then from there, I leave it up to the parents and kids to just enjoy time together. If they kids are feeling cuddly, then we just cuddle. If they get antsy, we'll start running. It's way less about getting a perfect pose, and way more about creating a comfortable environment so everyone feels free to do whatever they want together and then the photos turn out with a little extra sprinkle of happiness...because everything that happened was organic. Plus, it's stimulating my creativity because instead of trying to come up with new poses (which usually just end up looking stiff, I start searching for new ways to approach the same old stuff, new angles, new camera settings, new breathing techniques to stay focused behind the camera and notice little details I was overlooking (because I was so focused on silly poses). 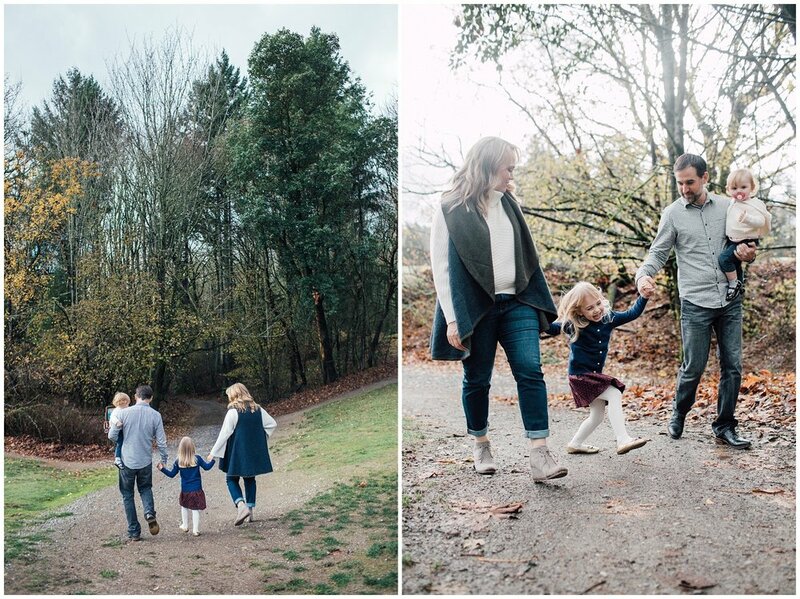 Taking your Seattle family photos at St Edward Start Park in Kenmore, Washington is perfect if you love the idea of evergreen trees, forest trails, a big open grassy field to running around in, a beautiful brick monastery, and if you're willing to take a longer walk for it, the beach of Lake Washington. Most of the photo shoots we do here are forest based. The Weaver's have moved around the country a lot and they were excited to take pictures with the big green trees, so we did their photo shoot in the middle of the field where I could capture the treeline in the background. There is lots of parking at this location but you are required to have a Discovery Pass ($30) or pay for a day pass ($10). Sign up for Photo Shoot Deals!